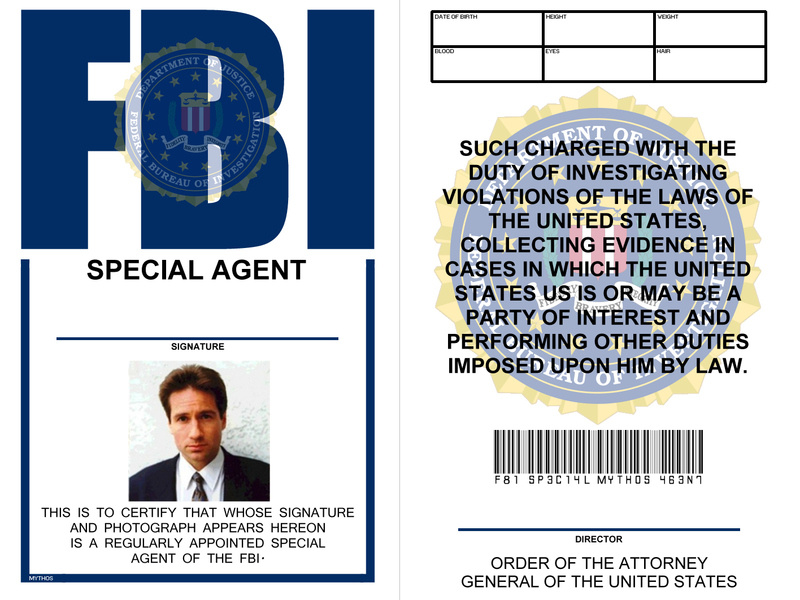 To make your outfit even more convincing, I've created (and attached) Mulder and Scully FBI badges that you can print - just right click the image to save. 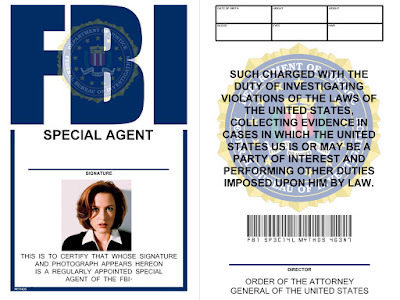 Pop them into a clear badge holder and you're costume has become even more believable! 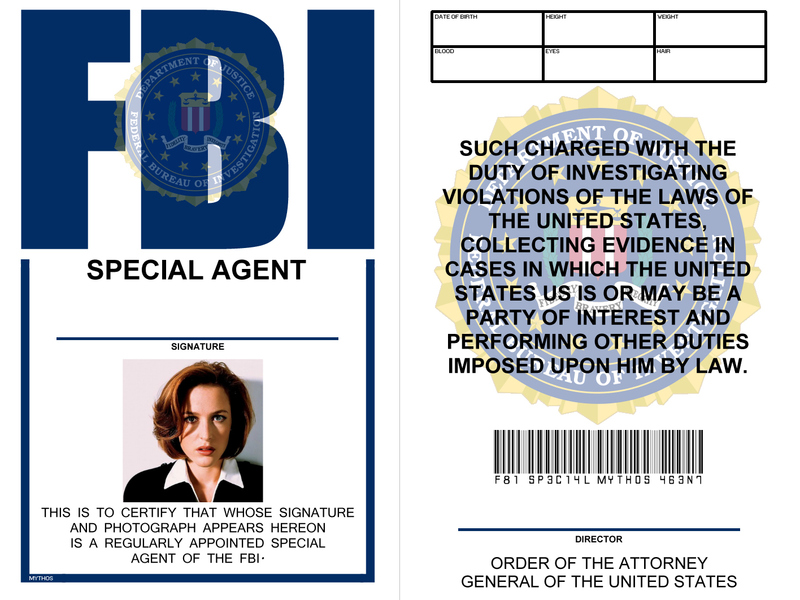 *Thanks to The Dork Cave for providing the blank FBI badge image. You can checkout Alex & I's Mulder & Scully costume here. You rock! Tanks for these! Always good to see fellow X-Philes! Nice job on the badges and thanks for attaching. Thankyou so much for the links to the ID badges, they are surprisingly hard to find! Lifesaver!